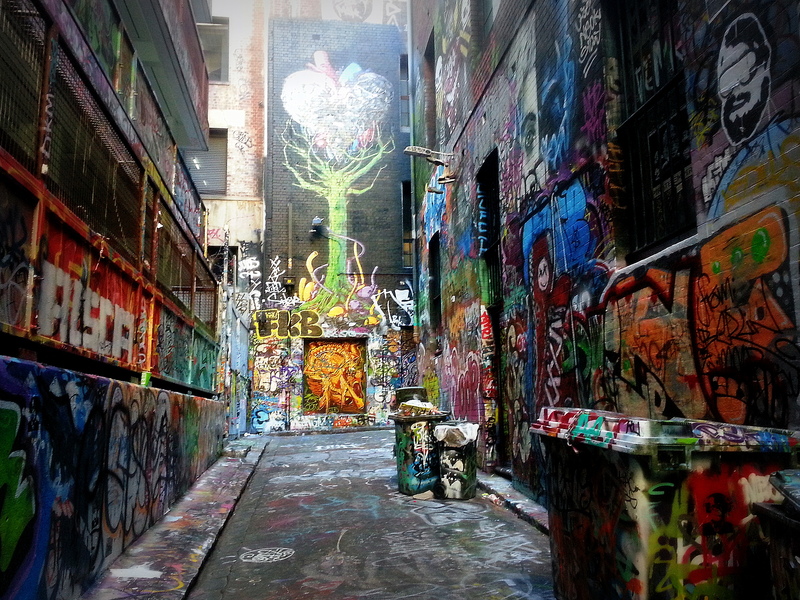 Even before I moved in to Melbourne I had come across bits and pieces of info about its famous street art scene but it never really captured my imagination. 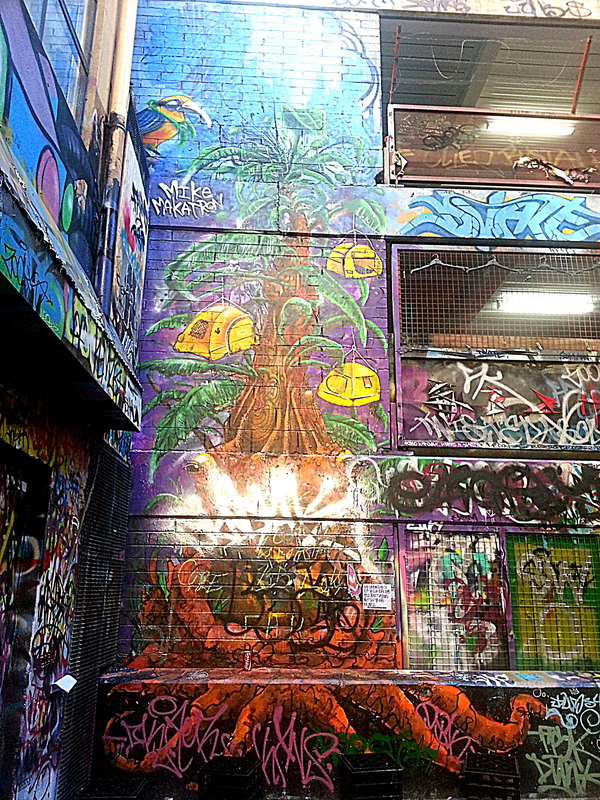 Once I got here I spotted some street art graffiti around St Kilda, on train routes & near stations and even on-campus triggering a bit of interest in me. 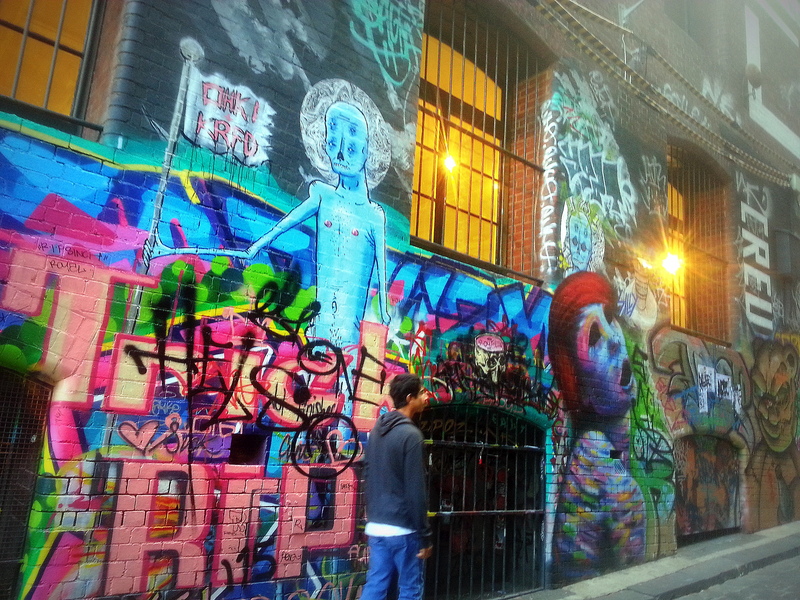 Also, Street art scene flourishes in Melbourne with blessing of ‘The City of Melbourne’ as long its with the permission of property owners and as long as its not just writing their graffiti name or ‘tag’ on the wall. 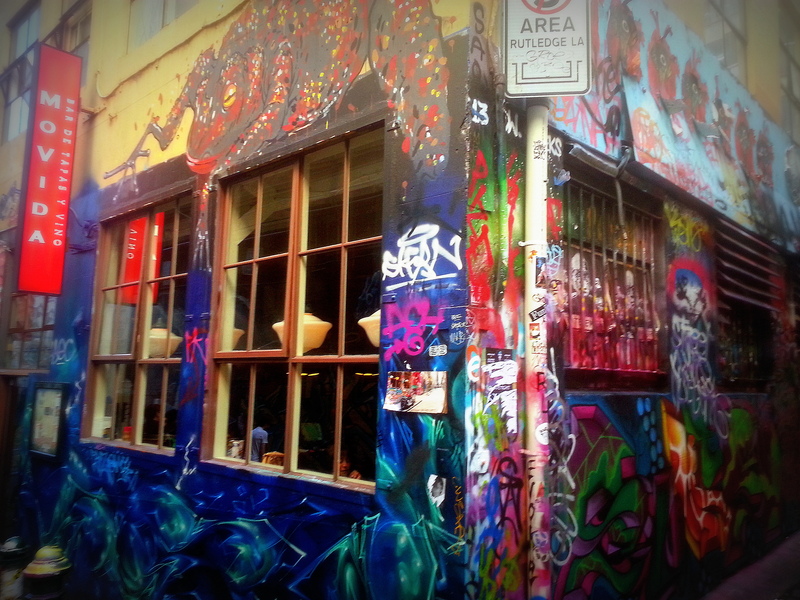 Just behind Fed Square, right past Movida(in pic above) you can enter Hosier Lane which horse-shoes into Rutledge Lane and together these cobbled laneways lay witness to one of the densest collections of street anywhere in the world. 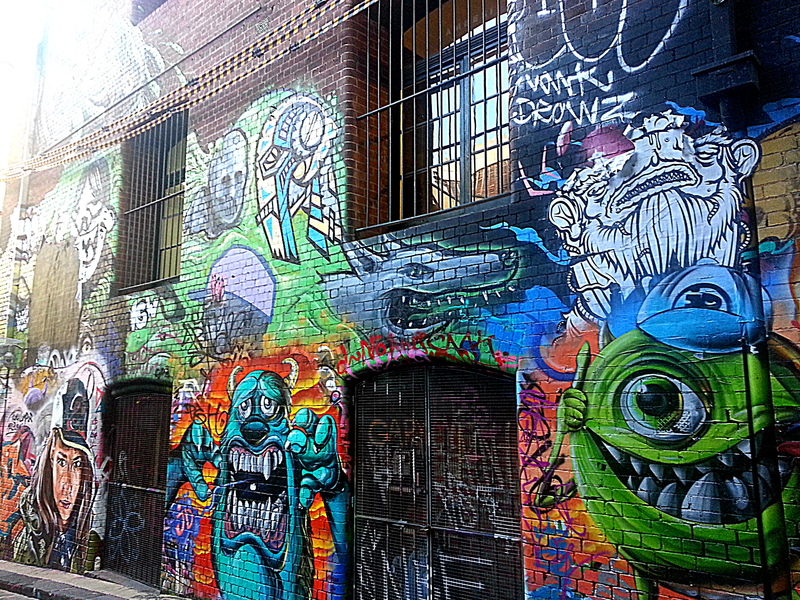 Graffiti can be political to counter cultural laced with irreverent humour. I don’t and cannot interpret them too much being new to the place and the culture and so on,but for sure they are visually spectacular. And below are a few images I managed to capture bypassing other droves of camera-wielding folks clicking away. Cant always avid the fellow viewers. This chap made for a good foreground to the art though! 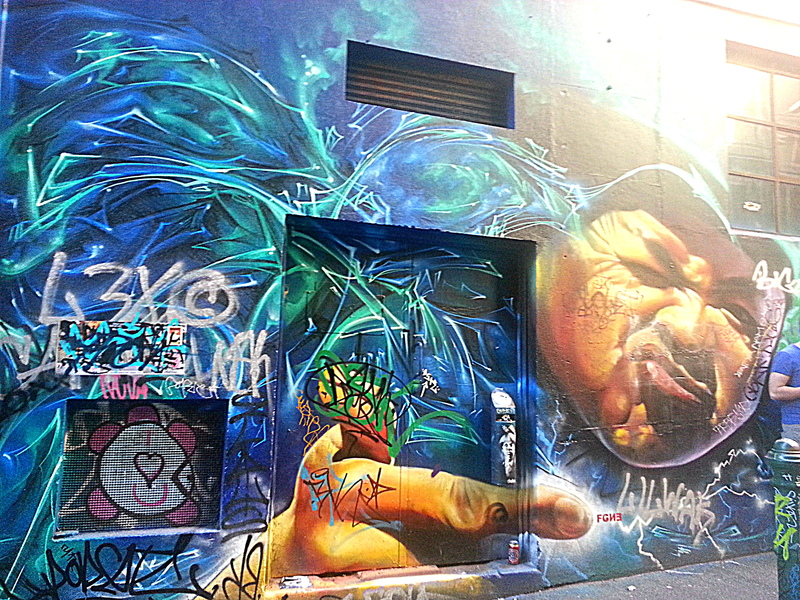 There was much more in the form of graffiti that I saw in my Melbourne rounds. But that will have to be another feature. 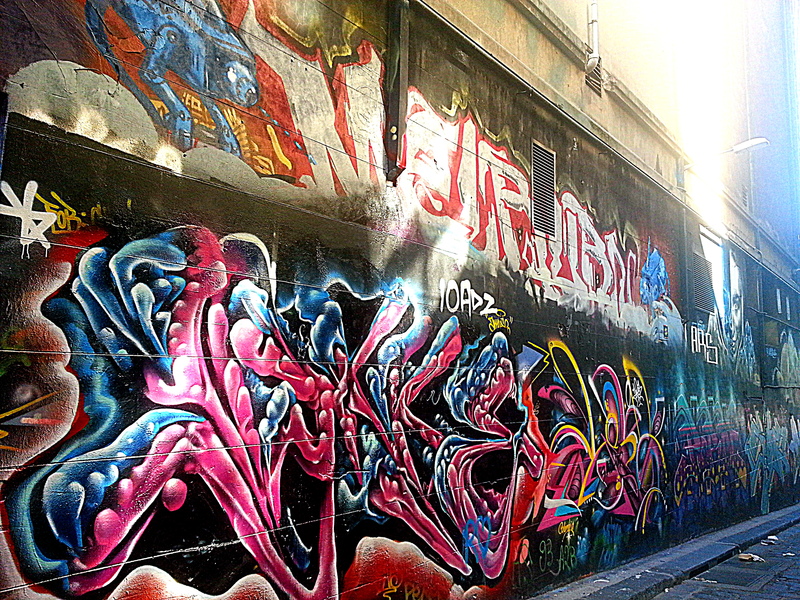 Also the new graffiti at Hosier & Rutledge Lane…ohhyes they keep changing. Stay tuned!